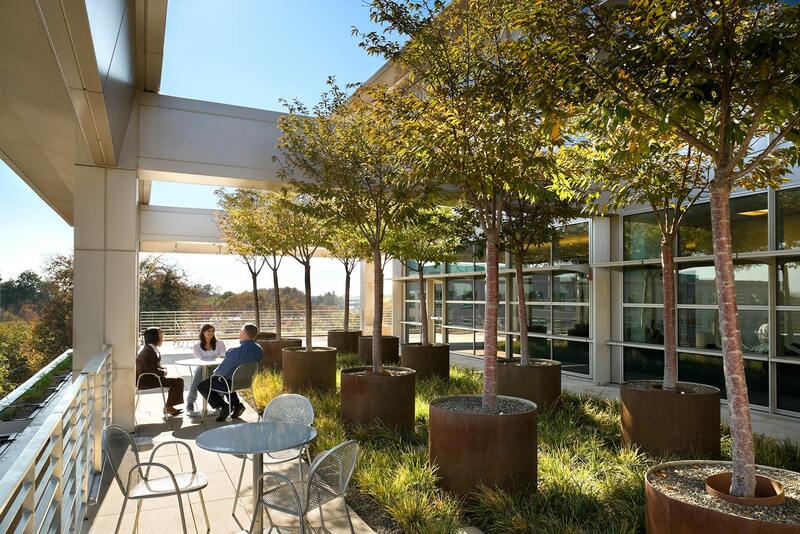 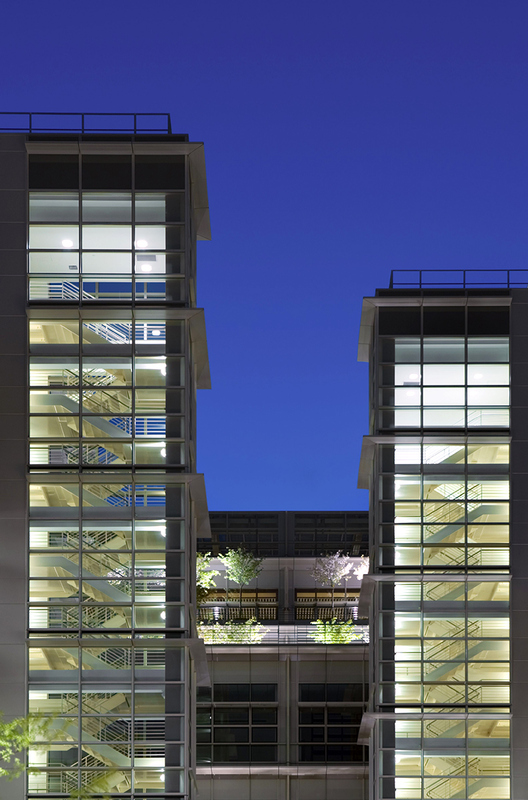 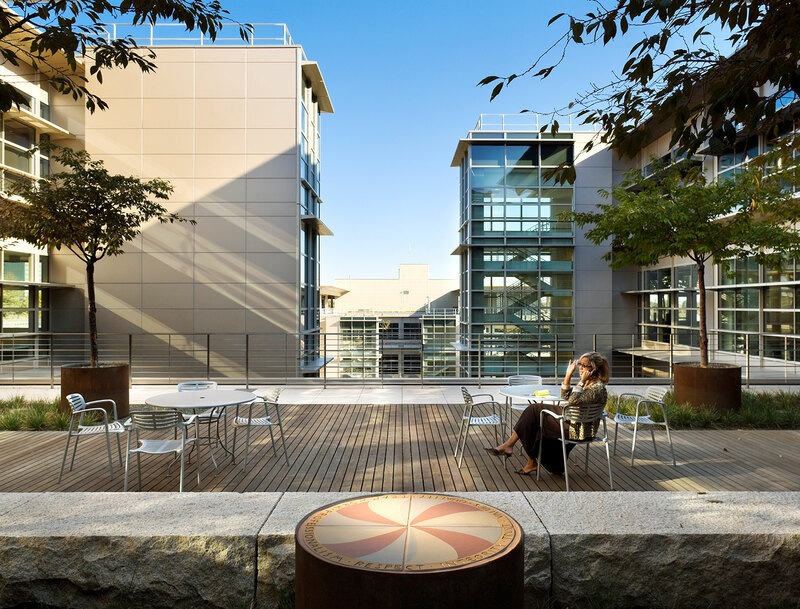 Two U-shaped structures form a public courtyard at their center that features outdoor terraces offering access to sunlight, fresh air, and lush planting. 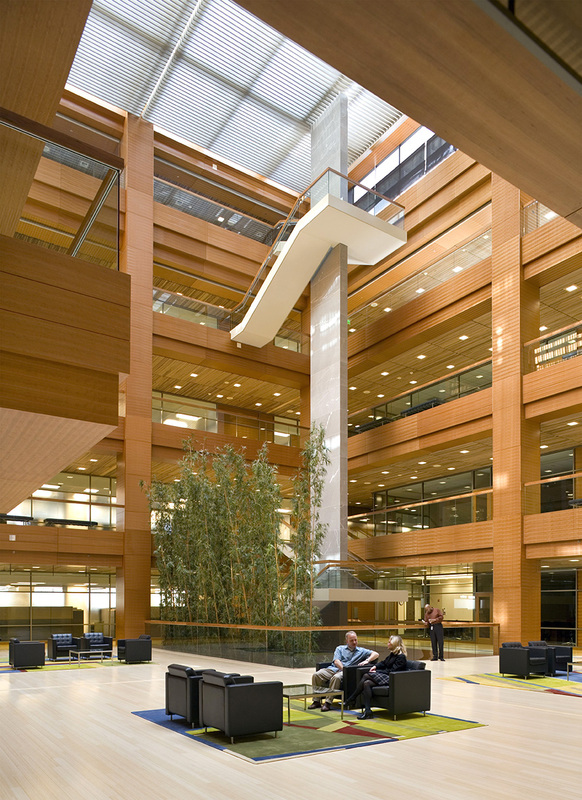 This configuration also places the interior work spaces in close proximity to natural light. 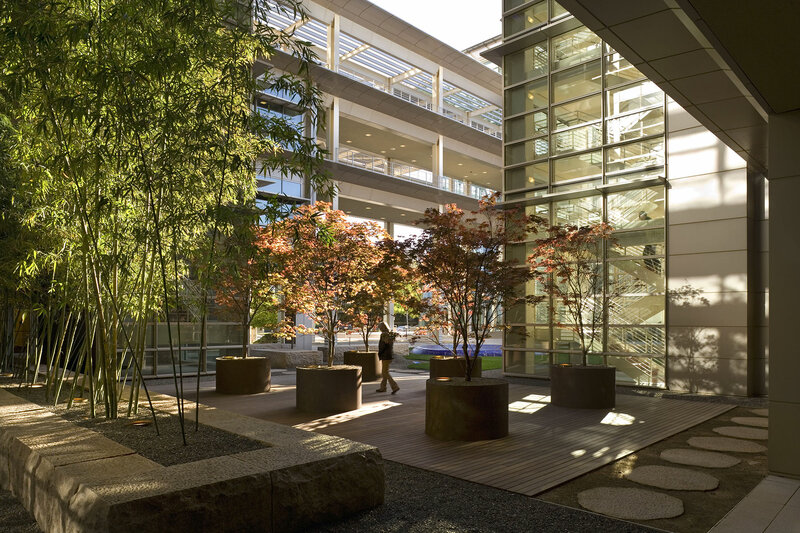 The façade design layers horizontal and vertical shading projections, light shelves, floor to ceiling clear glass, and integrated planters to control sunlight and create a richly textured enclosure. 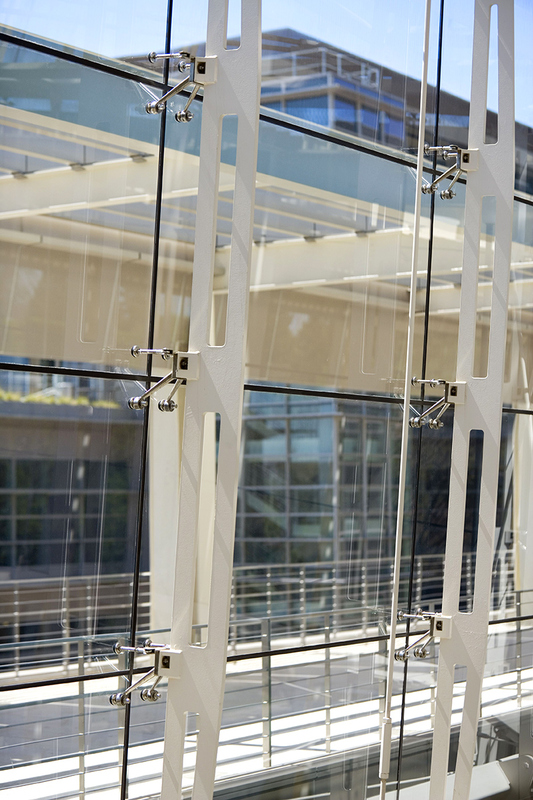 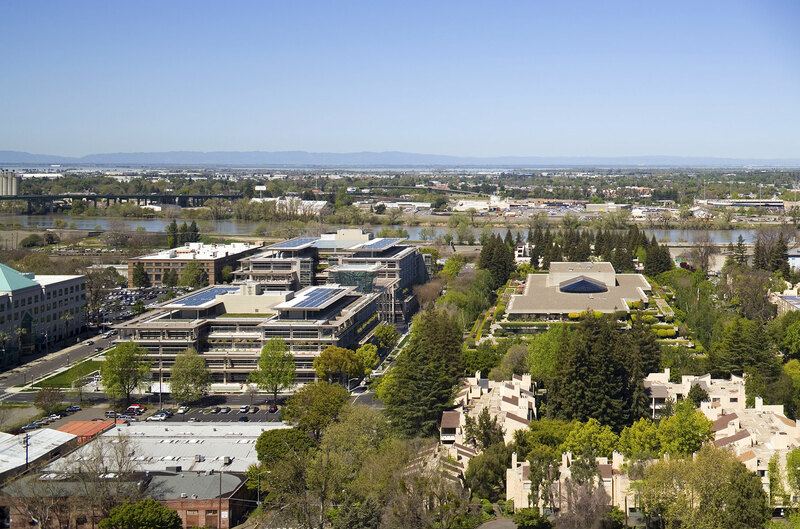 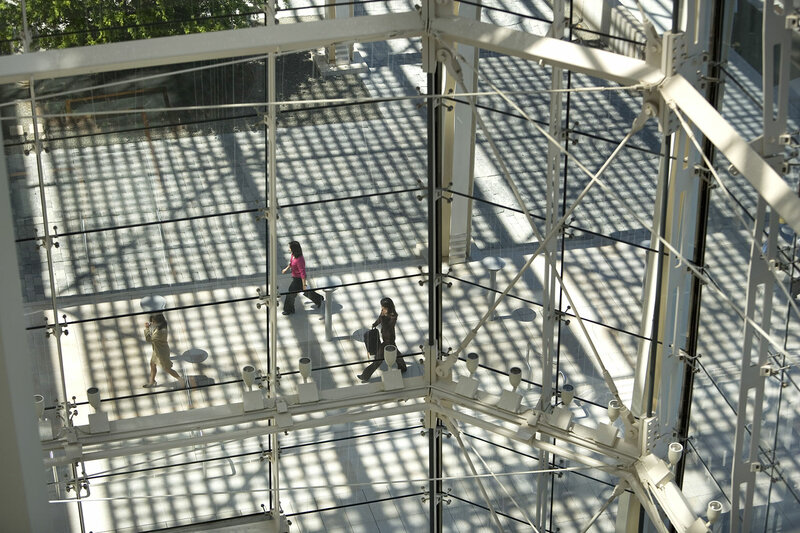 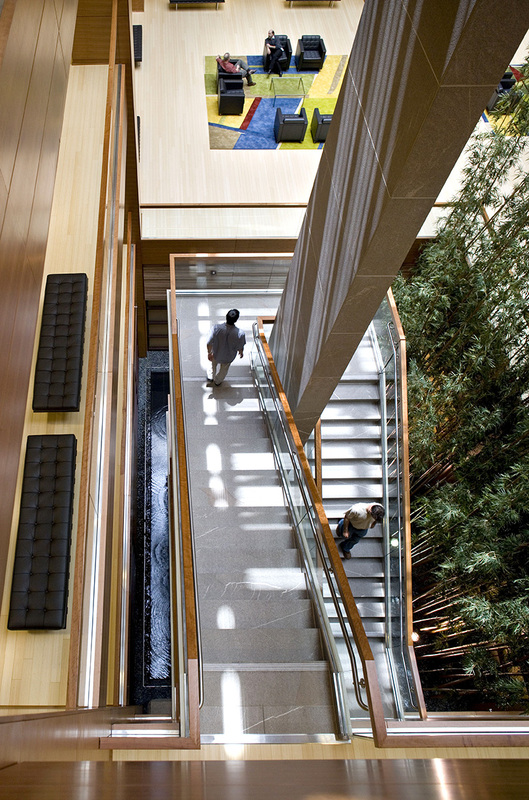 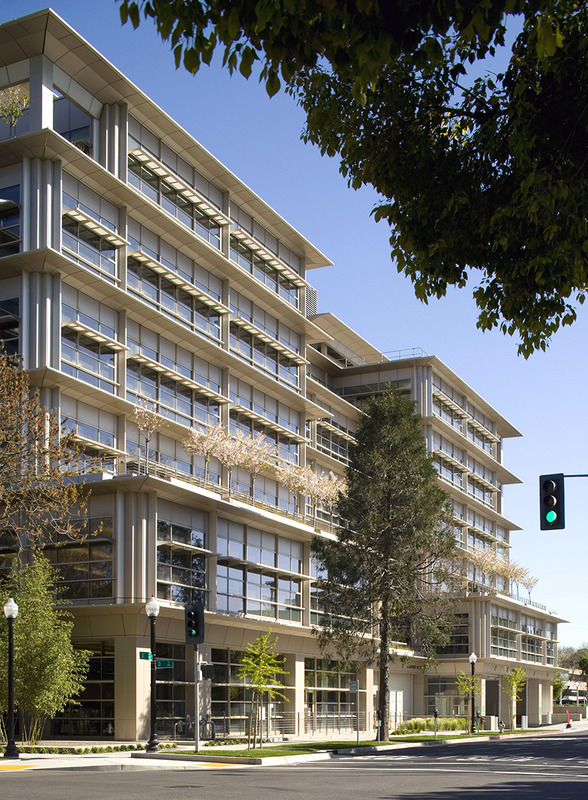 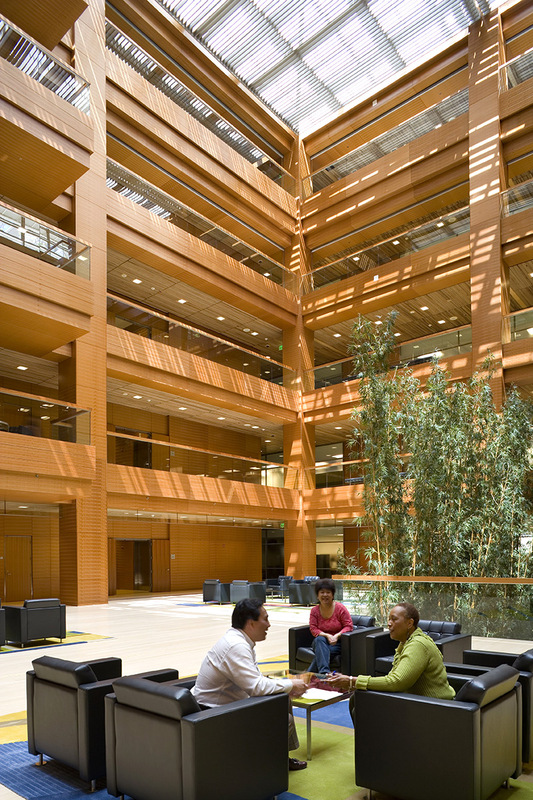 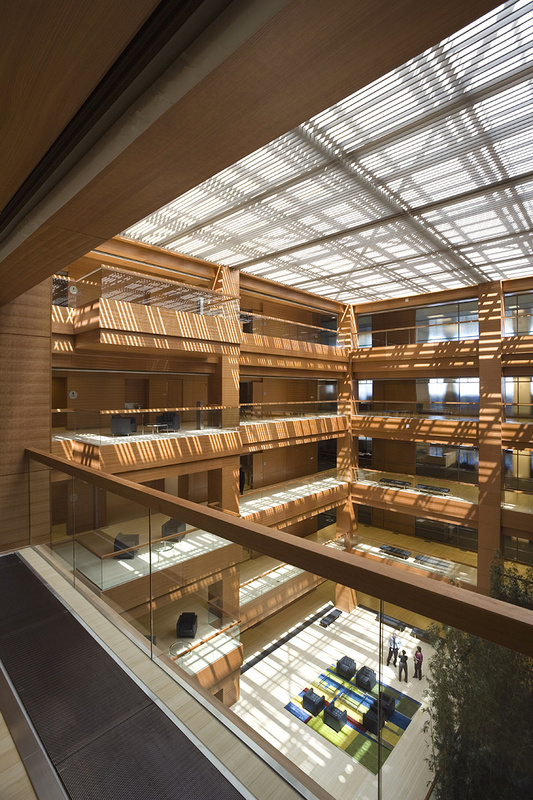 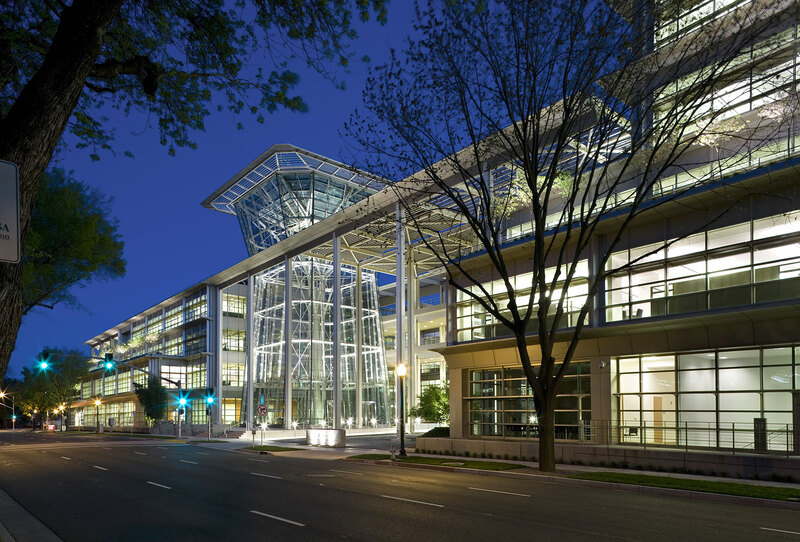 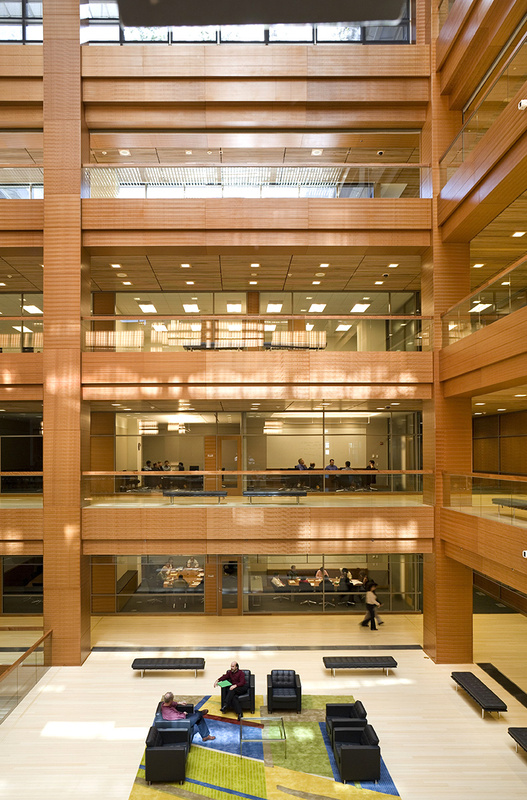 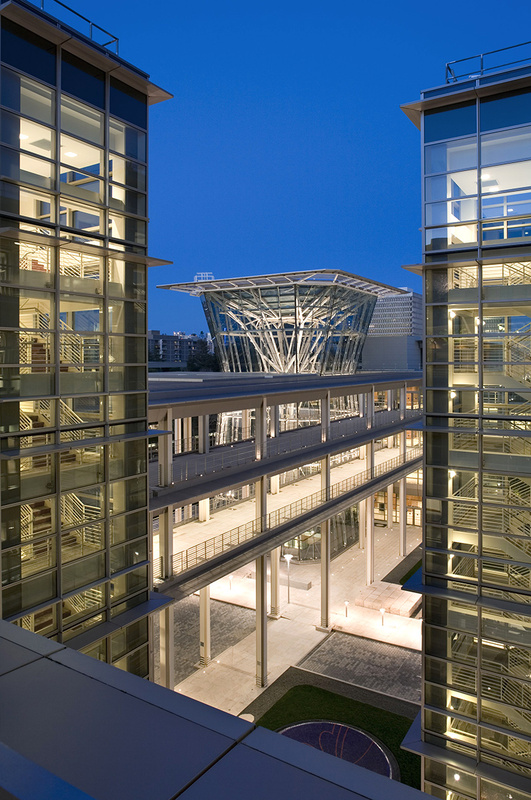 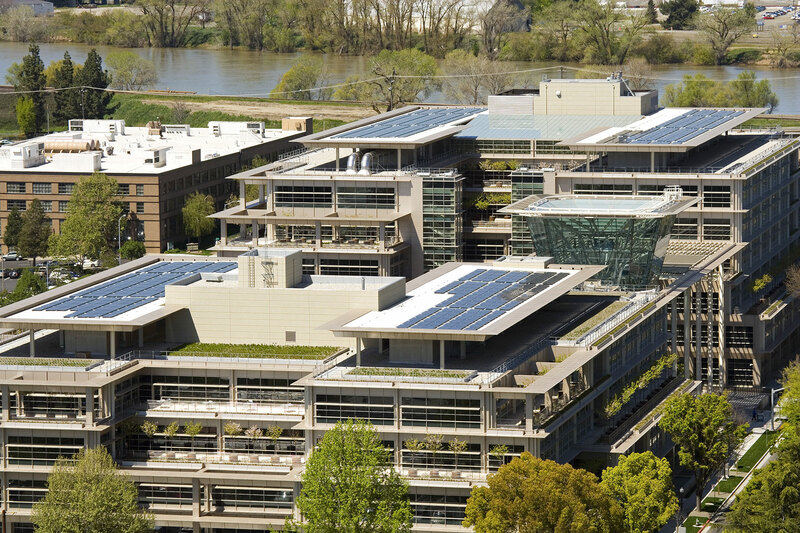 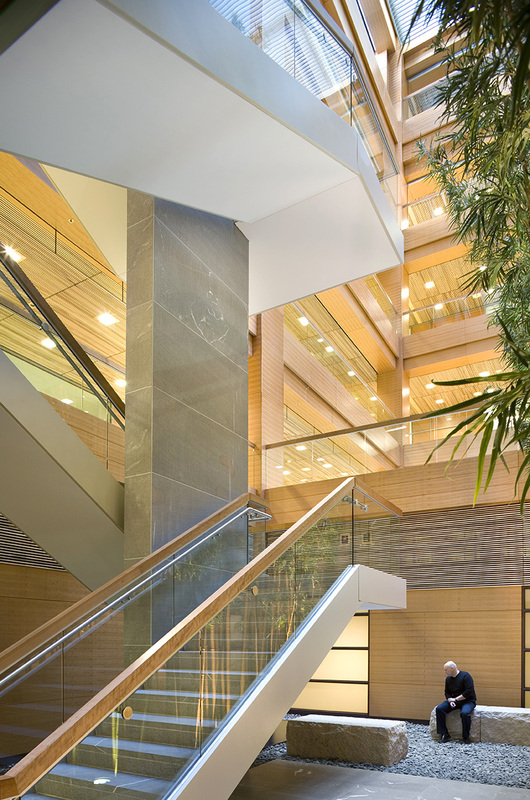 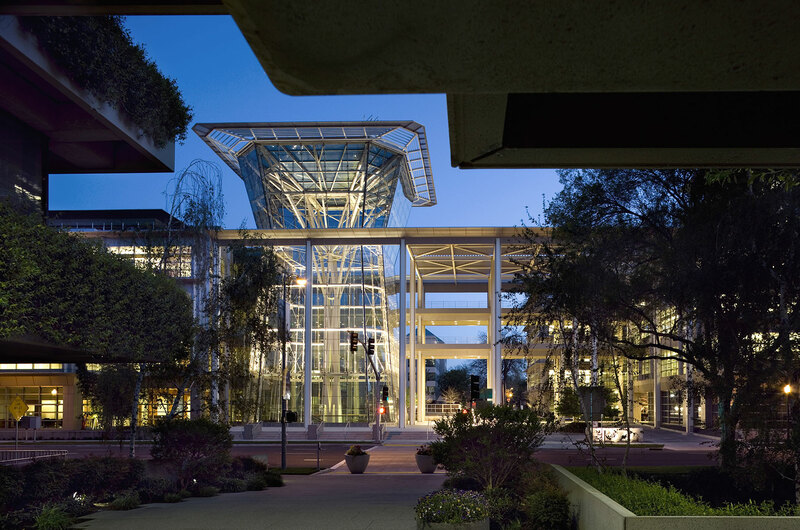 The building received a Gold LEED rating by the USGBC. 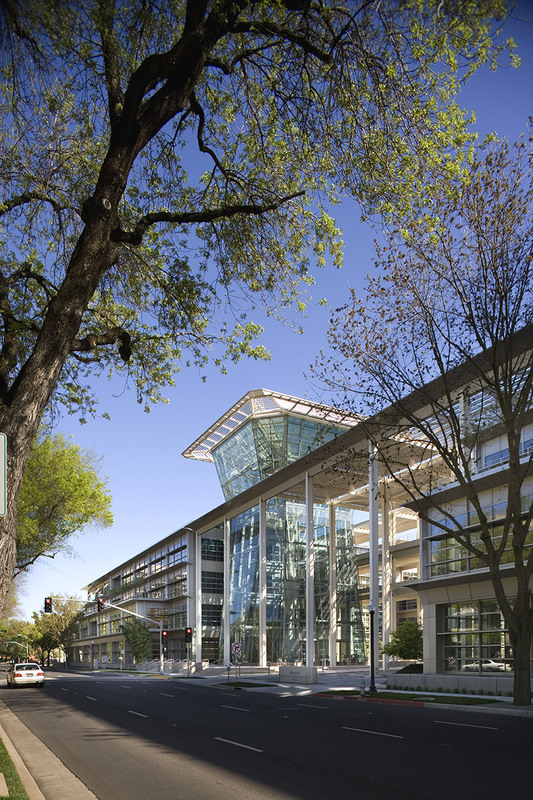 Exterior walkways link the two structures, and a pedestrian concourse below Q Street ties the building to the System’s current headquarters, Lincoln Plaza. 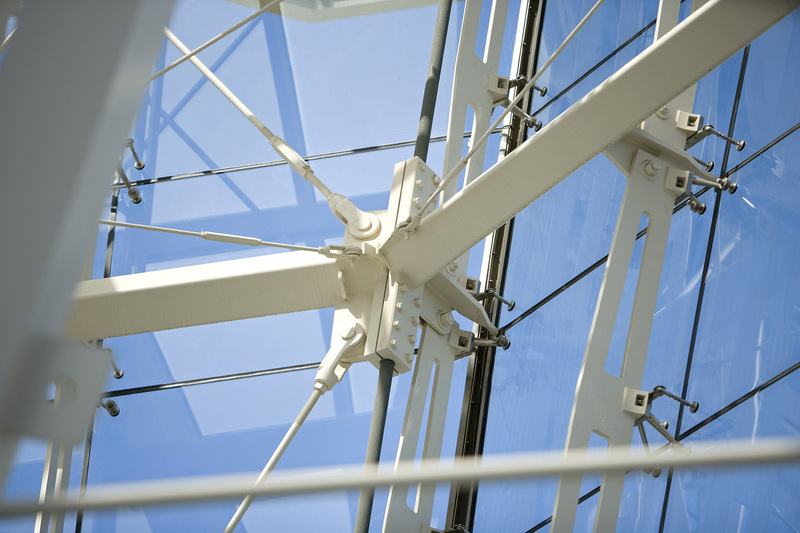 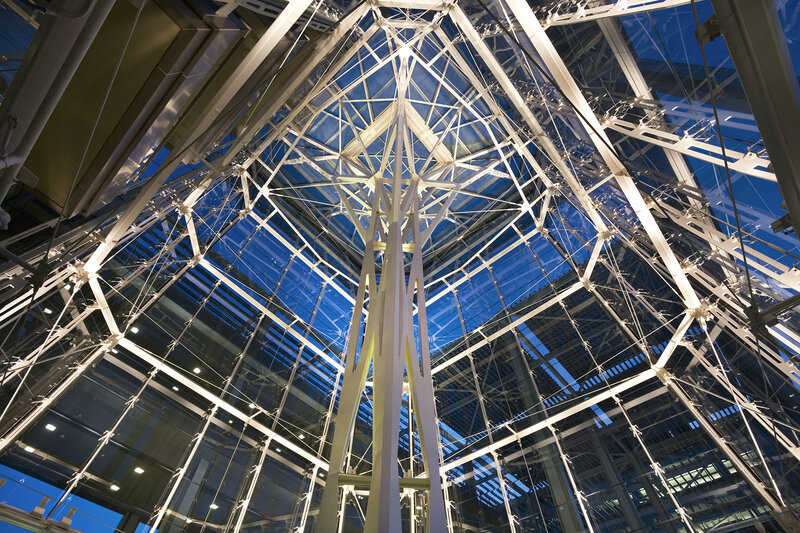 The centerpiece of the design is the hourglass-shaped, six-story tall entry lobby, a sculpted glass shape supported by a lacy steel frame structure.